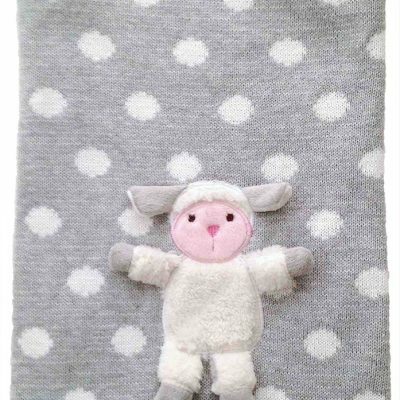 The Playmate Blanket™ with its hand appliquéd character is the perfect Tummy Time blanket, with dimensional ears, arms and legs that babies love to play with and touch. Tactile textures of velour, satin, fake fur and knit all create textural interest for small babies to learn from and touch. Safe for little teethers too. 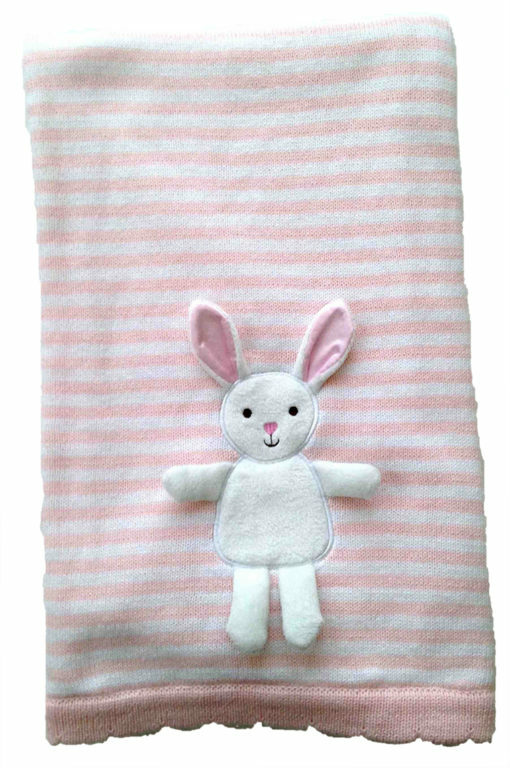 The Playmate Blanket™ with its hand appliquéd character is the perfect Tummy Time blanket, with dimensional ears, arms and legs that babies love to play with and touch. Tactile textures of velour, satin, fake fur and knit all create textural interest for small babies to learn from and touch. 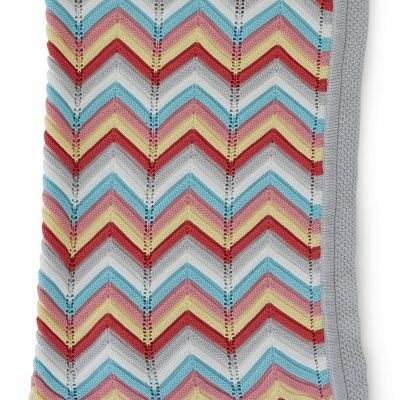 At 28”x 38” the Playmate Blanket™ is perfectly sized for a warm and cozy stroller blanket, safe for little teethers too. Bunny Playmate Blanket is knit from 100% natural soft cotton yarn in pale pink and off-white stripes and best of all; our whimsically appliquéd 3-dimensional white Bunny. 100% natural soft cotton sweater knit blanket. 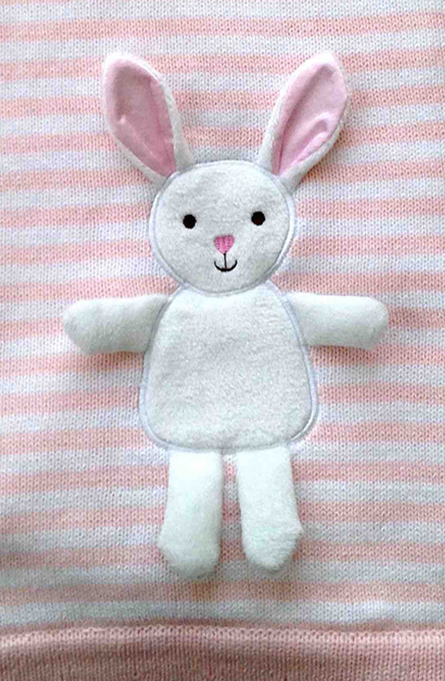 Whimsical appliquéd fuzzy white Bunny with pink satin lined ears, dimensional arms and legs. 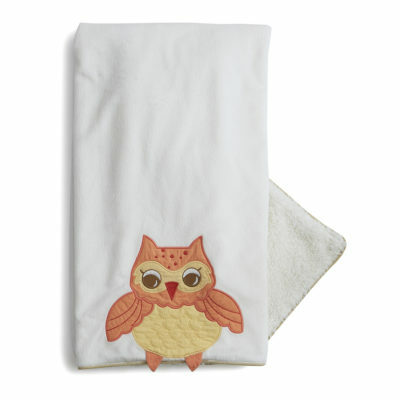 Safe for little teethers, with all natural machine washable materials. 28”x 38” perfectly sized for the stroller. Tummy Time builds head, neck and upper body strength for when baby is older. Your baby should do it numerous times a day. Start tummy time soon after birth, as part of baby’s daily play. In the first few weeks, try tummy time for 1-2 minutes, 2-3 times a day. Your baby can build up to 10-15 minutes, several times a day. Place safe objects and toys close to your baby; move them from side to side in front of baby’s face. This encourages baby to move, lift and turn her/ his head. Our Playmate blankets are perfect for Tummy Time for neck strengthening, while being safe with tactile interest for small babies.